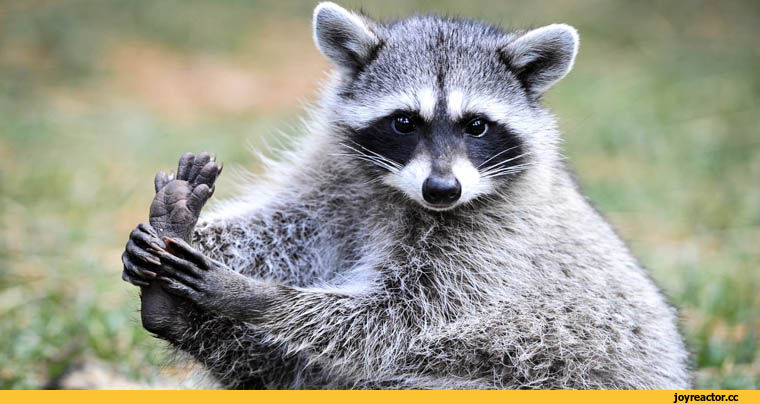 We are absolutely certain — raccoons are about to eclipse cats as the new Internet darlings! Today we share a collection of the most incredible pictures involving these animals. Feel free to check back to this post every time you need a dose of heartwarming laughs! 100. Excuse me, can I have another cookie? 99. Whoops, did I just say that out loud? 98. That’s it! We’re going on a diet tomorrow! 97. On second thought, no. 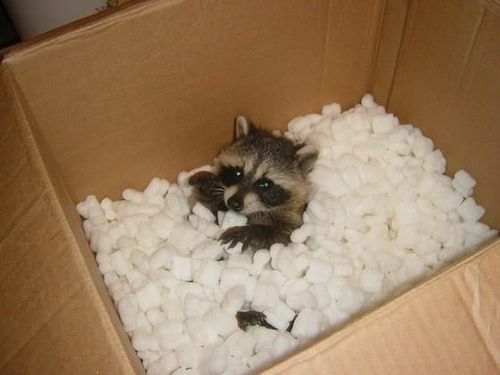 With us raccoons, there can’t be too much of a good thing! 96. I give up. I’ll do anything for a cookie! 95. 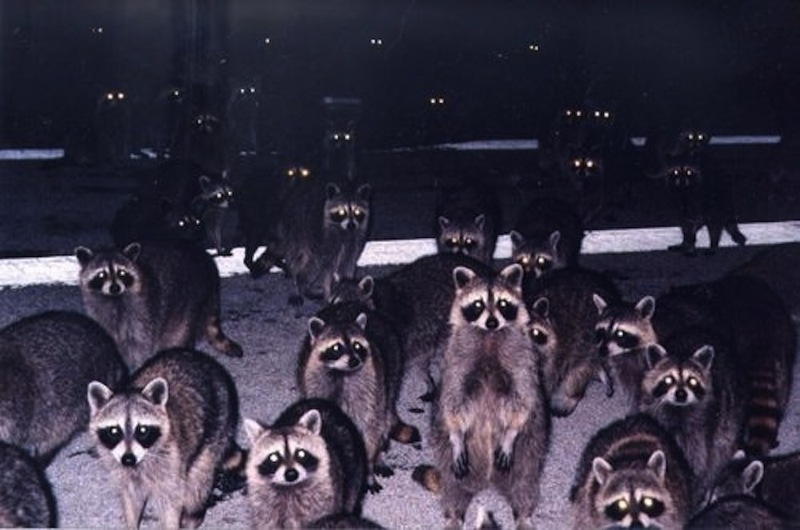 I pronounce this Raccoons Anonymous meeting open! 94. Gardening is such a tiring business. 93. Another day at the office. 92. What about those 50 bucks you still owe me?! 89. …and what it leads to. 87. I’m just like Puss in Boots…except I’m a raccoon…in a shirt. 86. We’ve taken out a mortgage. 84. Unscrew that thing, guys, and let’s scram — the owner is coming! 83. A really hungry raccoon. 82. Doctor, who are all these people?! 80. Howdy! Who are you? 79. Care to join us? 77. Move over, Jean-Claude Van Damme! 76. I’ll just rinse one more time, ok? 75. Get out, guys, the coast is clear! 74. There’s always room for some quality relaxation. 73. I bet you never felt this comfy in your bed! 71. Do these jeans look too tight on me? 70. 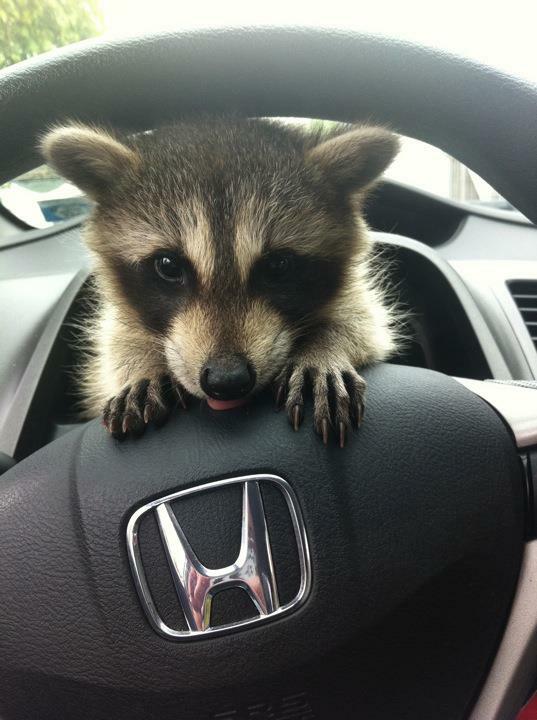 Can I drive, ple-a-a-ase?! 68. Who said that only cats like boxes? 66. A present? For me?!! 65. Hey, Robin! The Sheriff of Nottingham is up to something again! 61. Got any cookies? No? What if we check for ourselves?! 60. What is the world coming to? 59. A day at the spa. 58. Hey, kid! What have you got for me?! 56. No, you stupid human! I asked for a screwdriver! 55. Erm, hi there! I mean…meow! 54. I need your clothes and your motorbike! 52. Yess! I’m Peter Parker!!! 50. What are you staring at? We’ve run out of garbage down here! 48. Wow! Is that me?! 47. Aahh! Carrots! Life is good!!! 46. I swear! The cat did it! 45. Simply two raccoons rowing a canoe. The lack of water is immaterial. 43. I’m a raccoon in a tuxedo. And what did you achieve? 42. A night on the town. 40. Psst, buddy. Can I borrow some of these?! 39. Hello! You don’t happen to have a blow dryer, do you? 38. I’ll just have a little taste! 36. Mmm… The taste of my childhood! 35. A well-deserved after-lunch nap. 34. What do you mean “No more cookies”? 33. Hello, I’ve got a penthouse reserved in your heart! 29. Too late. They’ve eaten all the yum-yums! 28. Nothing like a good stretch to keep you in shape. 27. And don’t forget the pull-ups! 25. The cabbage patch is unguarded! Let’s get out of here! 24. — Do you think they’ve seen us? — No way. We’re ninjas! 23. Did you call a plumber? 22. Smile, and the forest will smile with you! 20. Don’t open your eyes! I’ve got a surprise for you! 19. The cats have moved out. Let’s party, guys! 18. Hey, Big Eyes! See anything yet?! 17. There’s still some rinsing to do, darling! I’ll be back in half an hour! 15. I just want to be left alone. 14. Did I turn off the iron? 10. Tuning in to Relax FM. 9. You take care of the grown-ups; I’ll distract the kids! 7. I summon the Great Master of the Cookie Jar! 6. Can he sleep with us tonight?! 5. Place your bets, gentlemen! 4. And that’s the way the cookie crumbles! 3. A very shy raccoon. 1. Oh, thanks for this post!